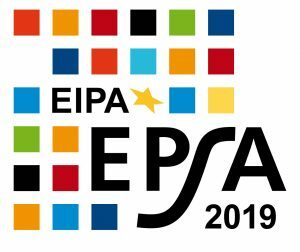 One month left until one of the major conferences organised by EIPA this year will take place! EIPA and the Government of Catalonia, as finalist and best-practice holder of the European Public Sector award 2017 (EPSA 2017), invite you to the 5th International EPSA Knowledge Transfer Conference on “Breaking silos for better service delivery – How to build sustained partnerships between the public sector and entrepreneurs”, which will take place in Barcelona on 13 and 14 March. This conference will bring together proven public sector best practices across Europe and successful working solutions in the area of public sector support and services to business and entrepreneurs. Six EPSA champions and further recognised public sector cases will share their experiences on what it needs to develop new ways of providing services and support to facilitate economic activity and offer true business-friendly solutions. The transformative effect of digital services, new relationship models between the public and private sector and true client-centredness, as well as more accessible financial support and holistic one stop shops in this area are at the core of this two-day event. You will be able to learn from these leading-edge public best practices and their insights on how to strengthen your local economy and business climate and how to reach outstanding results and implement awarded projects. We look forward to welcoming you to Barcelona!